The government’s assessment that the Korean economy is still on the path to recovery is being dented by figures showing employment and corporate profitability are continuing to worsen sharply. A monthly report recently released by the Ministry of Economy and Finance adhered to the positive assessment of economic activities for nine consecutive months in August. Ministry officials have rebuffed suggestions by many economists that the country’s economy took a downward turn entering the second half of the year. Critics have raised concerns that the “self-serving” perception held by policymakers may result in lost time to prepare for the impacts from a possible steep downturn in the economy. “The government has been pressing ahead with policies that increase burdens on companies while sticking to an easy perception (of the economy),” said a former head of a state-run research institution, requesting anonymity. He urged the government to be more careful than ever to prevent the economy from being jolted by a sharp deceleration. Recent figures that point to the continuous deterioration of employment and corporate profitability may well prompt President Moon Jae-in’s administration to rethink policies it has pursued over the past year. 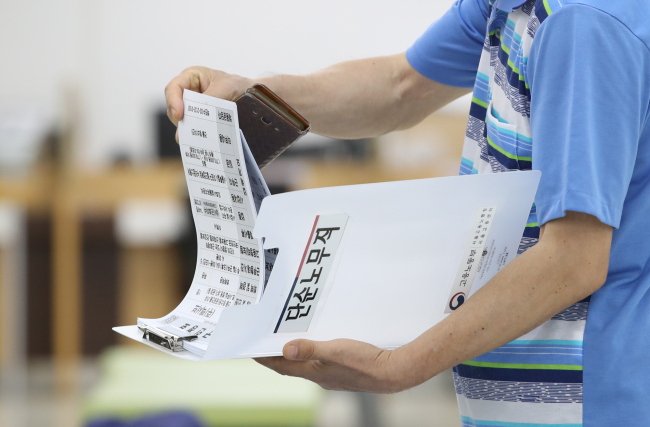 Data released last week by Statistics Korea showed the on-year increase in the number of employees in the country was a mere 5,000 in July, a sharp drop from 310,000 a year earlier. The figure was the lowest since January 2010 when the number of employees shrank by 10,000 from the year before in the aftermath of a global financial crisis. The number of jobless people rose by 81,000 on-year to nearly 1.04 million last month, with the unemployment rate climbing by 0.3 percentage points to 3.7 percent over the cited period. Economists attribute the poor employment record mainly to a set of pro-labor measures taken by the Moon administration to push for its income-led growth policy. More than 180,000 jobs, mostly low-wage ones, were lost at small businesses hit hard by a rise in costs that stems from labor-friendly steps including steep minimum wage hikes and reduced limits on working hours. Critics say the government should concede that the income-driven growth drive has failed to bring the intended results and shift to a policy that focuses on corporate competitiveness and lets companies take the lead in increasing investment and employment. 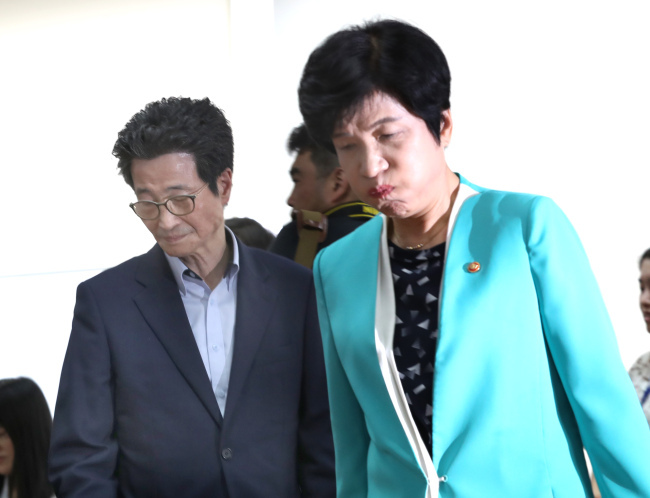 Yoon Chang-hyun, a professor of business administration at the University of Seoul, noted a reduction in facility and construction investments in the second quarter would lead to a further cut in jobs for the rest of the year and beyond. Unfavorable domestic policy measures have combined with deteriorating external conditions, including an escalating trade conflict between the US and China, to have a negative impact on the earnings of local companies. According to FnGuide, a financial information provider, the on-year increase in the combined operating profits of 220 nonfinancial listed firms surveyed slid from 20.64 percent in the second quarter of last year to 8.75 percent in the same period of this year. Aside from two chipmakers Samsung Electronics and SK hynix, operating profits recorded a 2.51 percent decrease over the cited period. “In the second quarter, local companies began to be significantly affected by the US-Sino trade friction and domestic policy moves,” noted Oh Hyun-seok, an analyst at Samsung Securities. According to the Bank of Korea, the business sentiment index fell to a 17-month low of 75 in July. Cho Young-moo, an economist at the LG Economic Research Institute, said most local firms seemed to lack confidence in the future business environment with export conditions worsening amid sluggish domestic consumption. An across-the-board look into corporate performance paints a gloomier picture. Data from state tax authorities show that nearly 38 percent of 695,445 companies required to file corporate tax returns earned no profits or suffered losses last year. The proportion was the highest since related data began being compiled in 2012. In the first half of this year, 836 companies applied for bankruptcy or court receivership, up 9.1 percent from a year earlier. The number is expected to be far greater in the second half as the economy slumps further and interest rates are set to be raised. Economists note that it will be difficult for local companies to recover price competitiveness, despite government efforts to help cover the increase in labor costs by expanding fiscal expenditure. Reckless support aimed at maintaining employment, they add, will create inefficiencies by allowing failing firms that should have been liquidated to stay afloat. Warnings have been raised that the Korean economy could find itself locked in a vicious circle in which a worsening economy results in an increase in the number of failed companies, which in turn precipitates the economic downturn. Economists say the Moon government should overcome the headwinds from its failed income-led growth policy by forging more corporate-friendly conditions through regulatory and labor reforms and tax incentives.